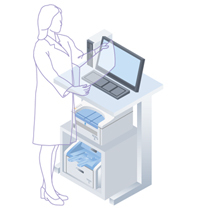 DRYPRO® Sigma | Konica Minolta Healthcare Americas, Inc. The compact, power and affordable DRYPRO® SIGMA is the ideal solution for facilities seeking economic value and clinical confidence in film-based conventional imaging. 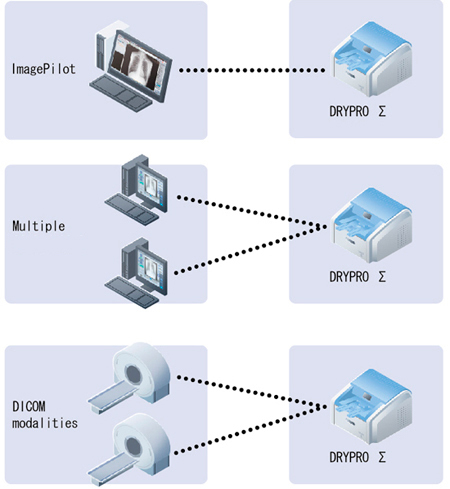 DRYPRO SIGMA makes digital imaging easy and efficient when combined with the REGIUS® SIGMA and ImagePilot® CR Reader. One package is all it takes to achieve efficient and cost effective workflow solutions in a simple digital imaging package. DryPro Sigma uses DryPro SD-S film (available: 14×17, 10×12 and 8×10 only). DRYPRO SIGMA is a compact, tabletop dry laser imager that adds customer value to all facilities currently using film based imaging. The DRYPRO SIGMA is a single tray dry laser that produces up to 45 film /hr from the image output of the companion REGIUS® Sigma CR Reader. DRYPRO SIGMA uses model specific SD-S type film in three standard sizes. 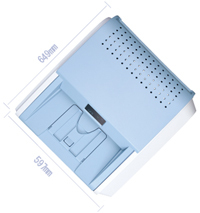 DRYPRO SIGMA is a desktop dry laser imager with a compact footprint as small as 65 x 60 cm. It seamlessly integrates into a variety of imaging environments when combined with REGIUS SIGMA. For consistent, reliable high-quality images, DRYPRO SIGMA is the ideal solution for facilities seeking an efficient digital imaging solution. The DRYPRO SIGMA accepts three types of films for different purposes, enhancing economic value for users across an array of imaging environments. Replacing film is a simple process… just open the front cover, retrieve the film inside, and load new one. Designed for lower volume environment, DRYPRO SIGMA is easy to operate, requiring no hands-on training upon installation and offering intuitive usability. DRYPRO SIGMA is a tabletop DRY Laser that adds true customer and economic value to all institutions using film. Especially for budget-constrained institutions, it makes digital imaging easy and efficient when combined with REGIUS SIGMA and ImagePilot®. One solution is all it takes to take you to the digital world. The compact and powerful SIGMA package services make it all possible.